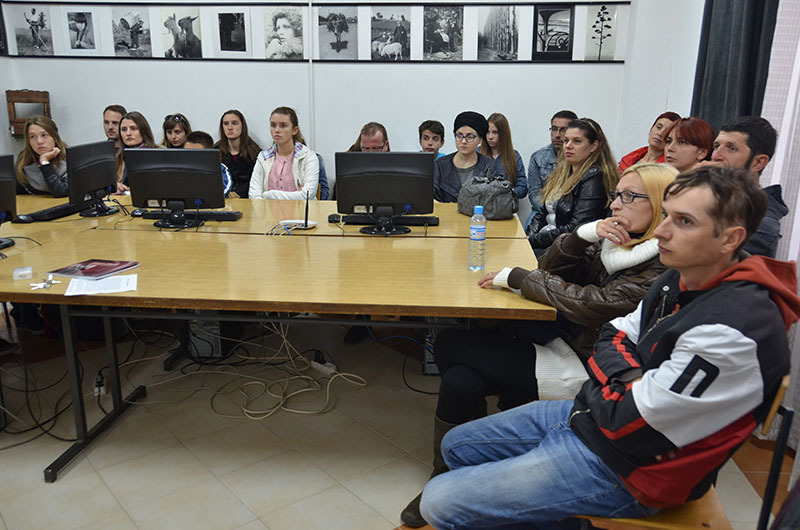 This year Photo Cinema Club Kozjak Kumanovo organize free courses in art photography for all fans of this kind of art , which began on Saturday the 5th of October and will last for six months. Тhrough theory and practice participants will learn about the history of photography , analogue photography , laboratory , composition , visual elements , techniques , digital photography and its processing. The interest of the first hour was a high level and was attended by cadets from virtually all ages. Classes will be held every Saturday afternoon from 17 pm and every Sunday from 9 am. Upon completion of the course all participants will receive certificates and will have the opportunity to exhibit their photos at club exhibition ” Salon May 2014″.